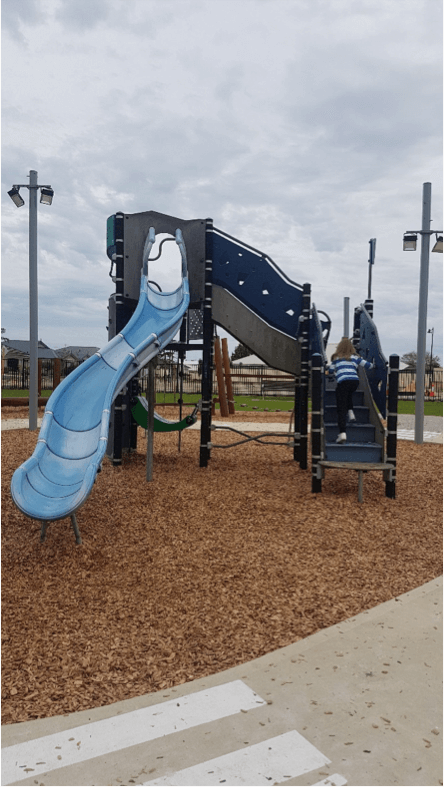 Botany Park located in Hammond Park has just undergone a fantastic upgrade. 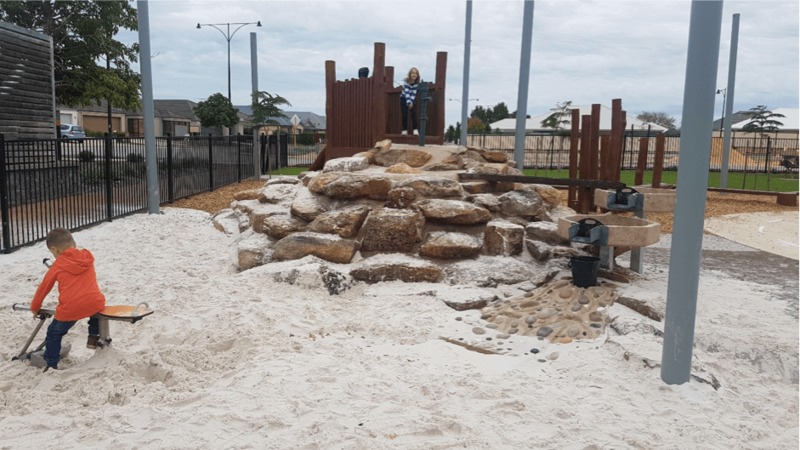 It is now toddler-friendly fully fenced with various pool gate entry points. 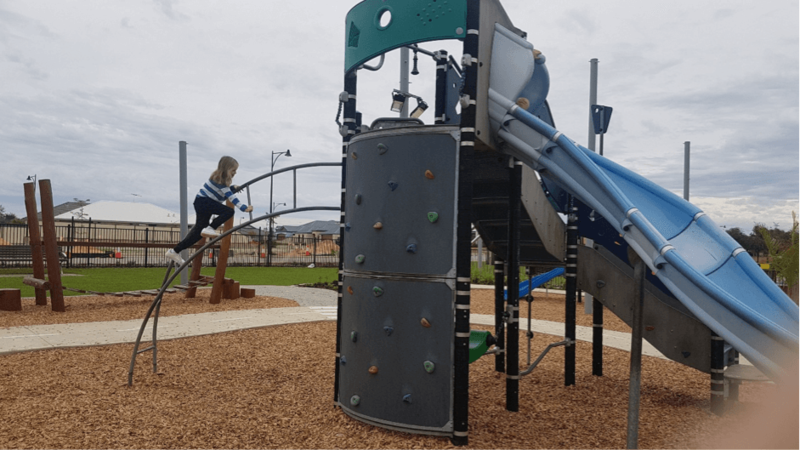 The original playground equipment still exists and features a bumpy slide, rock climbing wall, twisty ladder and swing seats. 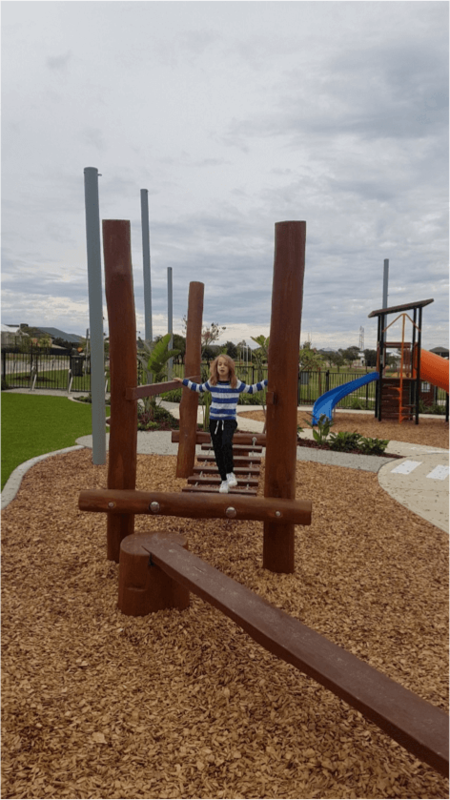 One of the fantastic new additions at Botany Park is a nature play area that features a wooden balance beam that has wobble bridge at one end and the water-sand play area at the other. 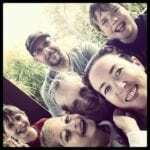 You can either climb up the rocky mountain to the water pump at the top or scale the wall with the climbing rope. 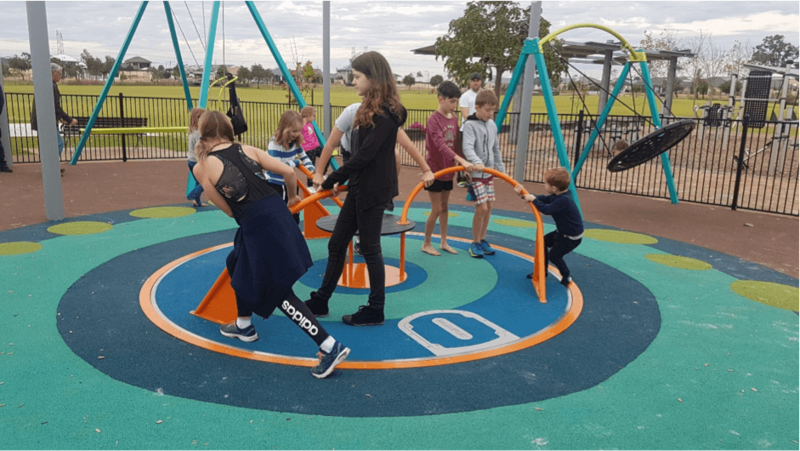 The roundabout was a huge hit with kids of all ages. 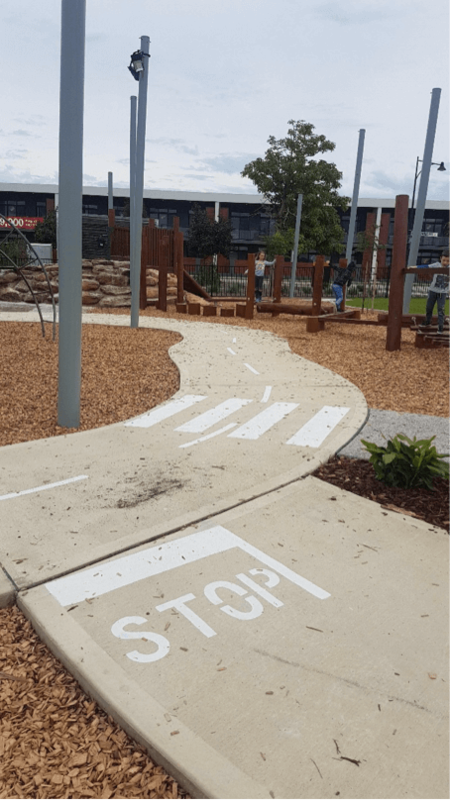 With felt matting ground cover and the in-ground design, it is assessable for all abilities to enjoy. 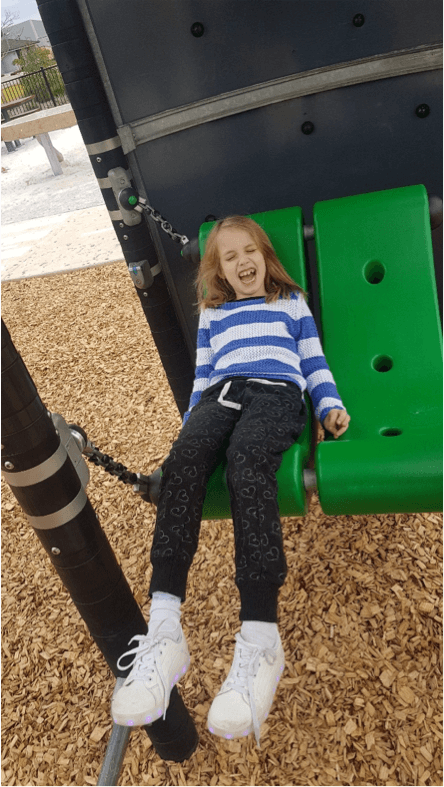 The swing area has a birdnest swing, traditional swing and inclusive swing with a harness all in the soft felt mat area. 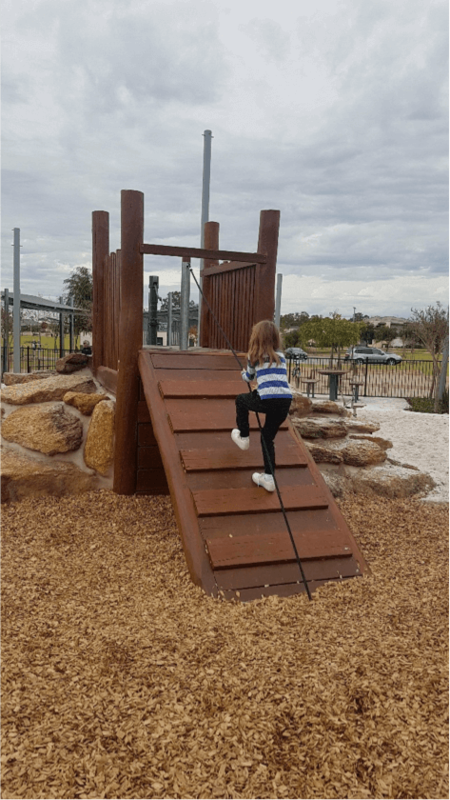 For the younger adventures, there is a smaller traditional playground with a ladder and climbing stepping pads up to a curved slide. 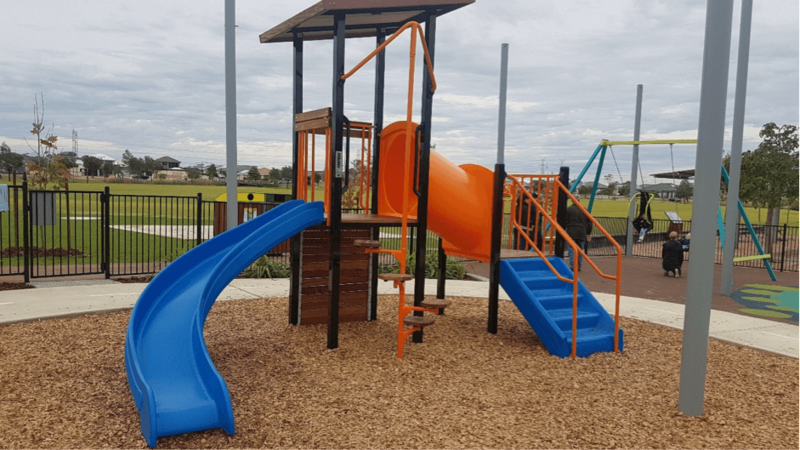 There 2 free gas BBQs, shaded seating near the BBQs as well as seats around the playground. 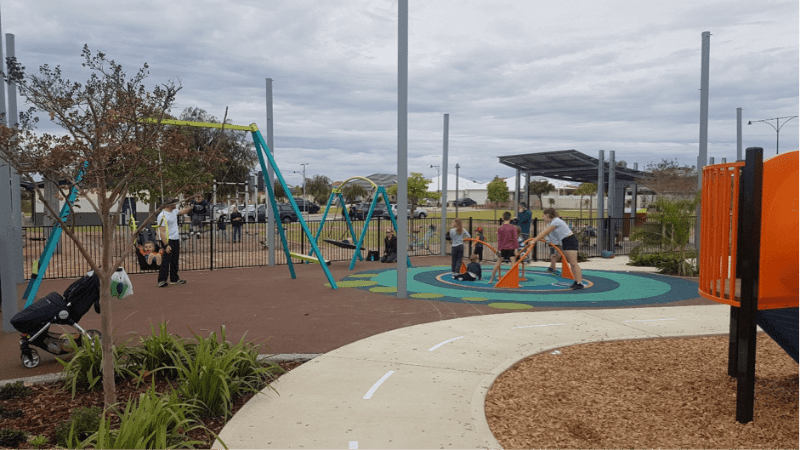 The playground is also shaded with shade sails. 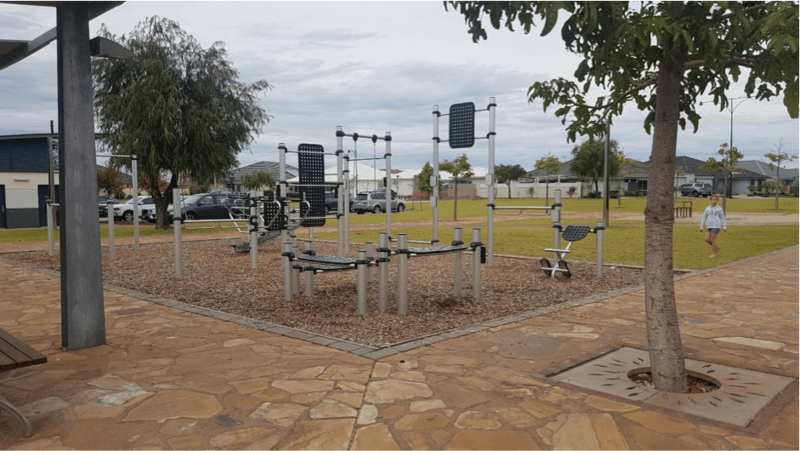 Alongside the playground is a fantastic free gym. This would have to be one of the best free gym set ups around. 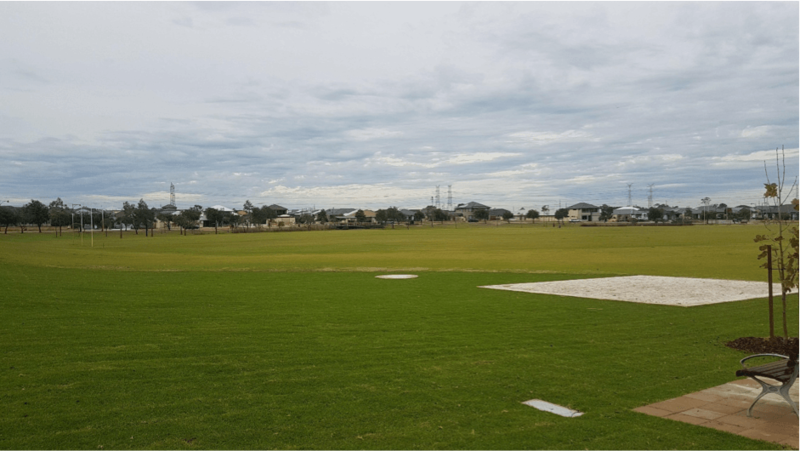 Located next to Botany Oval, the current home of the Hammond Park Hurriances footy club, there is plenty of room to kick the footy, throw the frisbee, whack the cricket ball or just run. There are toilets in the club rooms however this will not be unlocked unless there is a game on. 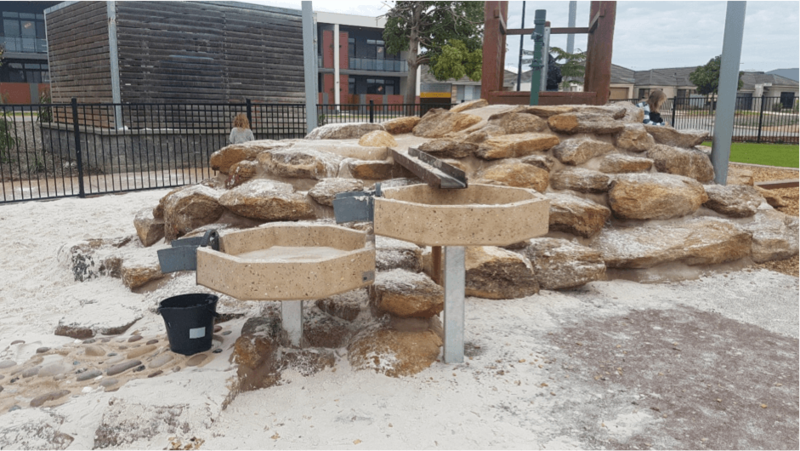 The closest public toilets will be at The Hive shopping centre on the corner of Macquarie Boulevard and Russell Road, Hammond Park. 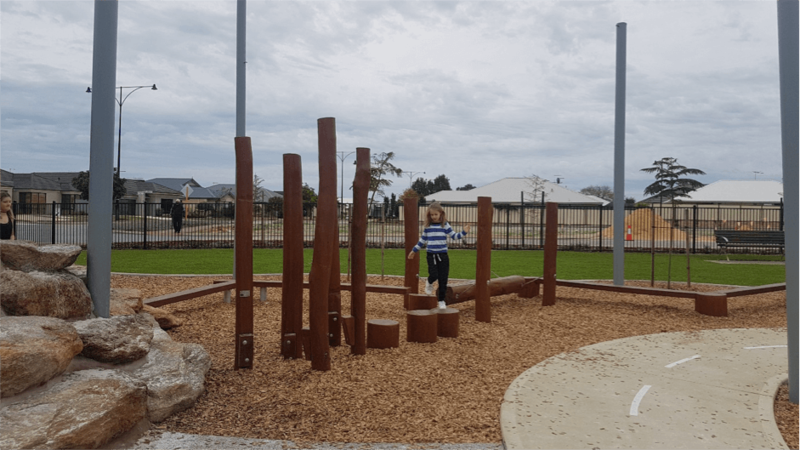 The Botany Park playground isn’t huge but there is enough to entertain the kids for quite awhile.